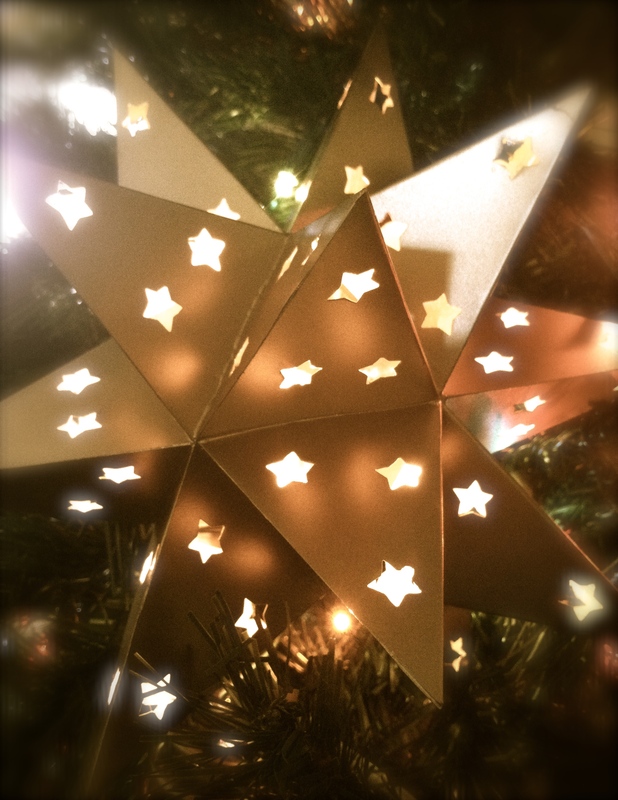 I have a star on the very tip-top of my Christmas tree. I had an angel for many years, but for as long as I can remember I always wanted a star. One year I found one I loved. Maybe I’m partial to a star because I love that God used one to guide the Wise Men on their long journey to see the Christ-child. I love it when God meets us where we are. Only God knew how to draw the Wise Men to Him. He knew the Wise Men were looking up. So…He used a great light. The prophet Isaiah foretold of a Light that would dawn on the darkened hearts of men. Don’t you ever wonder why God uses light in Scripture to symbolize His presence? Darkness can be oppressive. Depressing. Blinding. Frightening. God is none of those things. What a beautiful picture He gives us of Himself. How lovely. It’s the bright, morning star that heralds a new day. As the sun rises, I’m reminded that no matter how bad my day may be, I can start fresh every morning. There’s always the hope of a better tomorrow. The Morning Star that rises in my heart is Jesus. He’s my hope in a world still filled with much darkness. It’s no wonder that when Jesus was born God chose to do something remarkable to herald His birth. He brought forth a supernatural, cosmic miracle in the heavens. Something rare. Something that would make the Wise Men stand up and take notice. God put a special star in the nighttime sky. And, behold, those men would never be the same. I just love that the Wise Men believed what they read. What was it about this star that caused these men to seek, to follow, to want to behold the promised Messiah? What was it about this baby? A baby born in a small, insignificant village…in a tiny, smelly stable…with dirty, stinky animals…lying in a hard, crude feeding trough…to a young, peasant girl who had journeyed far on the back of a donkey…who probably hadn’t bathed or changed her clothes in weeks. Why would anyone want to travel thousands of miles to a place like that? Because darkness is oppressive. Depressing. Blinding. Frightening. But put Jesus in the hearts of men and everything changes. Moods. Sights. Fears. This once-in-a-lifetime heavenly phenomenon that lit up the nighttime sky shone on the One True Light and this world would never be the same. To think…the Star shone on this dark, stinky, hard, dirty place. But isn’t that how Jesus still shines on us today? I don’t know about anyone else, but I know that Jesus came to me in a place like this. Just as He met the Wise Men of old, He met me where I was…A young girl who had journeyed far from home. It was this bright Morning Star that beckoned me. The Light of the World that called to me. And I followed, never to be the same again. I believe some of the greatest miracles God still performs today are the miracles of changed hearts. When hearts are softened by the power of His mighty love, when lives are washed clean by His saving grace, when stables become palaces and stars become beacons of hope. This is the Jesus that still saves. This is the Messiah that still comes in darkness. This is the Star that still beckons the hearts of men today.